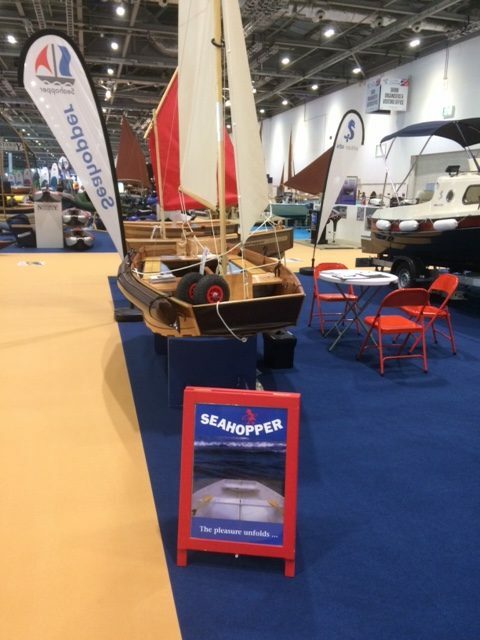 Seahopper, the World’s No.1 folding boat, is exhibiting from today at the London Boat Show. Come and see us at Stand SB004E from 10th – 14th January. We have the updated versions of the Scamp, Lighter and Kondor to view with the option to buy at special show prices. So, come along and have a chat with us about your next yacht tender, fishing boat or family sailing dinghy. New accessories and options include the new rope fender and the re-introduced lug rig. We hope to see you there!